Happy St Patricks Day! | Life, Sport and Diabetes - An everyday look at my life with type 1 diabetes. Happy St Patricks Day to our friends accross the sea in Ireland! 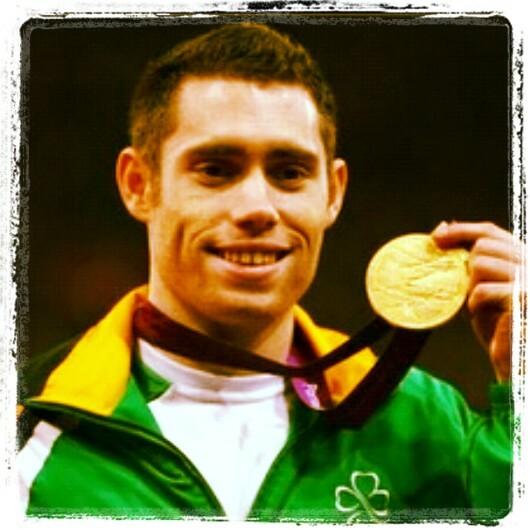 And what better way to celebrate than to take a look at inspirational Paralympic Irish athlete Jason Smyth. I first was inspired by Jason when I went to watch the London Paralympic Games last year. As a whole the Olympic Paralympic Games were the most amazing and inspirational experience! There were so many astounding/ emotional/ epic moments that will stay with me forever. But Jason's performance in the Paralympics in the 100m and 200m were nothing short of fantastic! Considered the Usain Bolt of the Paralympic world, Jason competes in the T13 classification as his central vision is affected by Stargadt's disease. Which is an inherited juvenile macular degeneration that causes progressive vision loss. But Jason hasn't let that stop him! With the aim of becoming the first visually impaired athlete to compete in both the Olympic and Paralympic Games. He came really close to this dream when he made it to the semi-finals of the European championships! He then achieved the B standard for the London 2012 Olympic Games, but missed out on the A standard by .04 seconds. Jason is inspirational and easy to relate to, especially for diabetics because he hasn't let his challenges prevent him from achieving. This Irishman will definately be one to watch out for in Rio 2016, hopefully in both Games!